For two mornings now, we've gotten up at sunrise and walked. 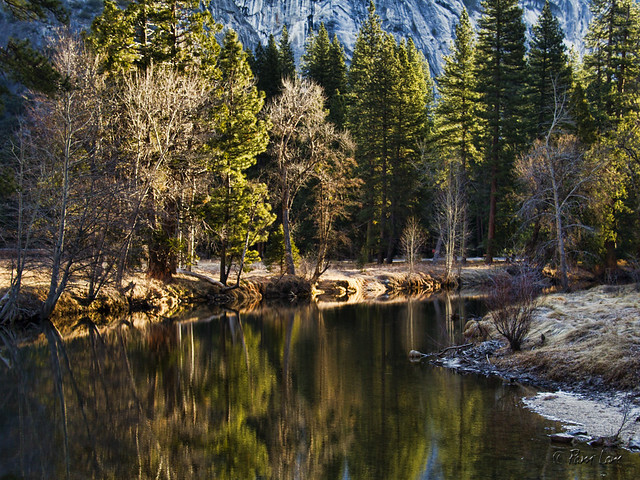 Today we walked around the meadows and along the banks of the Merced River that cuts through Yosemite Valley. This morning there was frost on the meadows and fresh ice along the edges of the river. In the spring and summer, the river rushes by and is a favorite for rafters. But right now, it's quiet, with beautiful reflections everywhere. The meadows are surrounded by small forests and the towering walls of the valley. 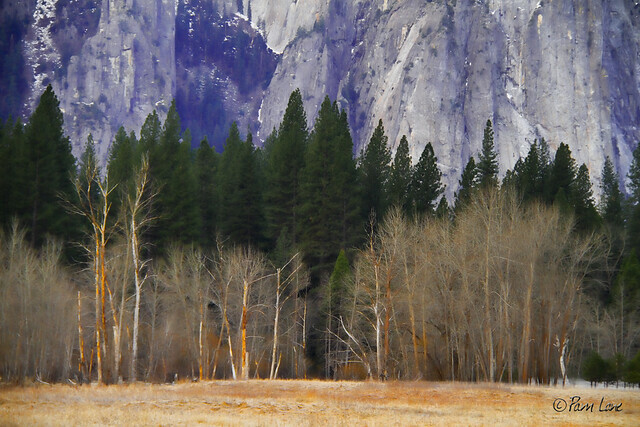 Before the sun hits the valley floor, the colors are muted. This is the time of day when you would typically see deer grazing or the occasional coyote chasing a rabbit—although we saw neither this morning.